The beginning of the 133 mile Northville-Placid Trail follows the highway from Northville to Benson Center and impatient hikers may want to drive to Benson Center. However, the scenery along the Stony Creek Valley is well worth the walk. No high mountains are encountered in this section, but the forests are as wild as any found on the trail. 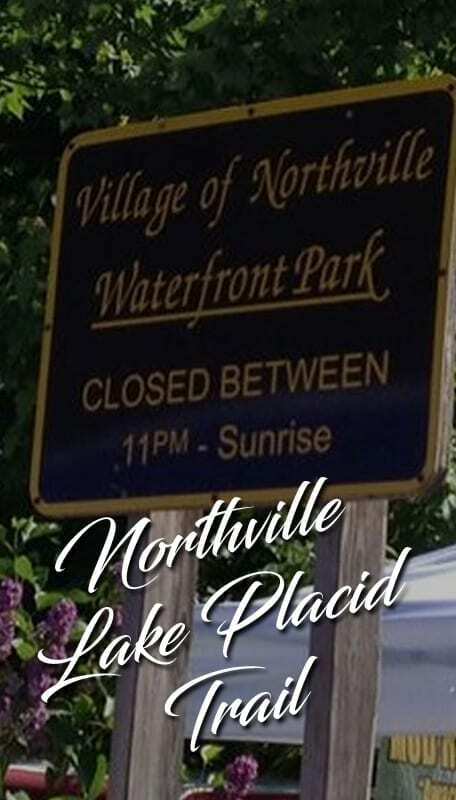 The Northville Placid Trail is approximately 136 miles long from the Southern Terminus located in Waterfront Park in the Town of Northville, NY to the Northern Terminus at the corner of Averyville Rd. and Old Military Rd. in Lake Placid, NY. The original trail ran from the rail road station in Northville, NY to the rail road station in Lake Placid, NY. A thru-hike (or end-to-end hike) of The Northville Placid Trail is considered to be approximately 136 miles long which includes the 3.5 mile road walk through Northville before entering the woods at the Collins Gifford Valley Rd trailhead. An official end-to-end also includes the approximate 3 mile road walk in Piseco, NY, a short road walk on Cedar River Road near Wakely Dam and the 0.7 mile road walk on Tarbell Rd. in Long Lake. Also, the trail can and is hiked northbound and southbound. Most hikers hike north. The distance logs and trail descriptions in the ADK NPT guidebook are written from the south to the north and thus it is easier to follow these directions than it is to attempt to reverse them. Trail Conditions Vary Greatly. Regardless of the type of hike you take, understand that trail conditions vary and seem to change hourly sometimes. Be prepared for mud, trail relocation (permanent and temporary), bridges out, beaver activity, miserable weather, biting insects, missing trail markers, and overgrown trails. It takes a lot of effort to keep trails in good condition. With state fiscal issues, a down economy and limited funding and volunteer help, keeping the Northville-Placid Trail in good condition is a tough job. The Adirondack Mountain Club, its various Chapters, Members and Volunteers, as well as the NY State DEC can’t control the weather or biting insects but they are doing their best to provide a safe and enjoyable trail for your use. More can be done and one of the purposes of this website is to make people aware of trail issues and to provide opportunities for people to get involved and help. Please check our Latest Trail Conditions map for the latest information about the trail, and we hope you’ll consider joining the NPT Chapter to help maintain the Northville-Placid Trail for current and future generations.